BJP spokesperson Rakesh Tripathi told The Indian Express, "Politicians should be careful when they talk about women and people belonging to disadvantaged communities.” He refused to speak further on the matter. 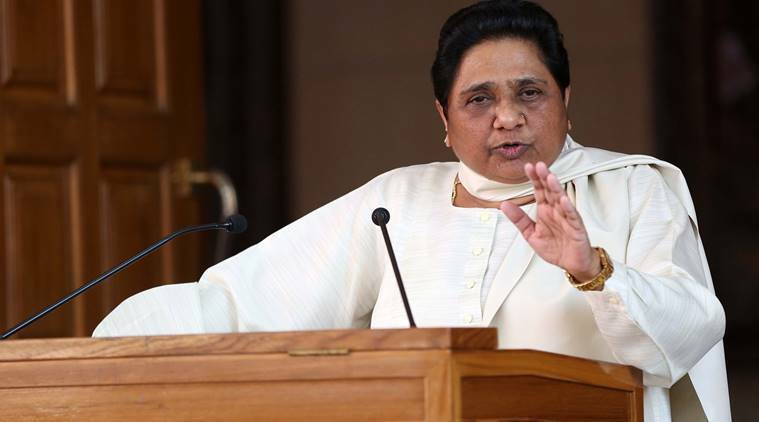 BJP MLA Surendra Singh Tuesday sparked a controversy Tuesday after he made derogatory remarks relating to the appearance of Bahujan Samaj Party (BSP) chief Mayawati. Singh made the remarks while speaking to mediapersons in Lucknow. Asked whether his remark was against women, he said, “If a woman can be in the race to become PM and CM, will we not retaliate with words?” he said. On whether he would apologise, the MLA said, “Isme maafi maangne ki kya baat hai… Yeh toh shauk ki baat hai (What is there to apologise, I have just spoke about her preference),” he said over the phone. BJP spokesperson Rakesh Tripathi told The Indian Express, “Politicians should be careful when they talk about women and people belonging to disadvantaged communities.” He refused to speak further on the matter. 3 Priyanka Gandhi to BJP: You question our 70 years, what have you done in your 5?